Charlie & Courtney’s love story is a beautiful tale of meant-to-be moments. Courtney was living in Seattle, WA, when she visited her sister in Austin. She fell in love with Austin, and decided she was going to move there one day. So she worked extra jobs for 2 years in order to make it happen. When she finally arrived in Austin, she got settled into her new place and found a job. A job that another young man named Charlie just happened to be starting at as well. These co-workers became friends, and then it turned into something more. And on December 1st, Charlie & Courtney vowed to spend their lives together…and it all happened because Courtney decided she needed to move to Texas! These Sweethearts, along with the help of their sisters, planned one of the most gorgeous and classy weddings we’ve seen in Waco! 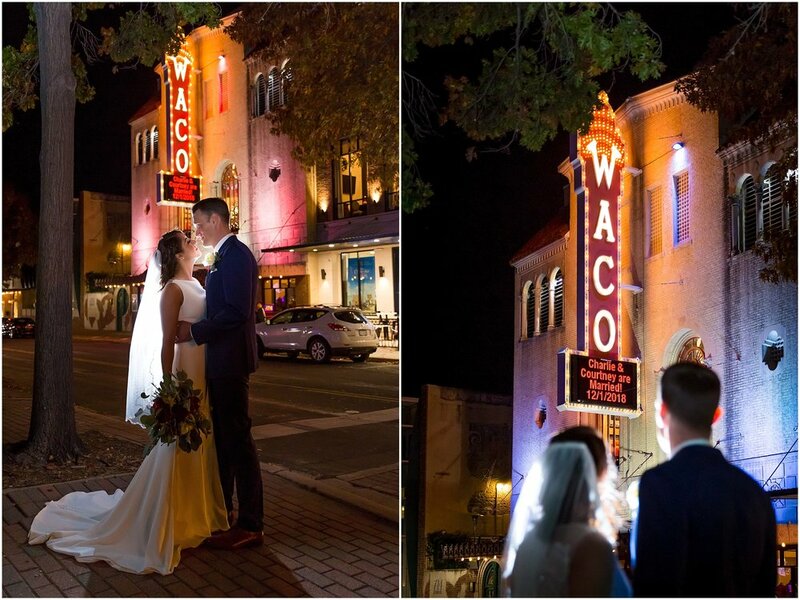 Charlie & Courtney chose The Hippodrome as their wedding venue, and it was the perfect location for their classy and classic wedding. 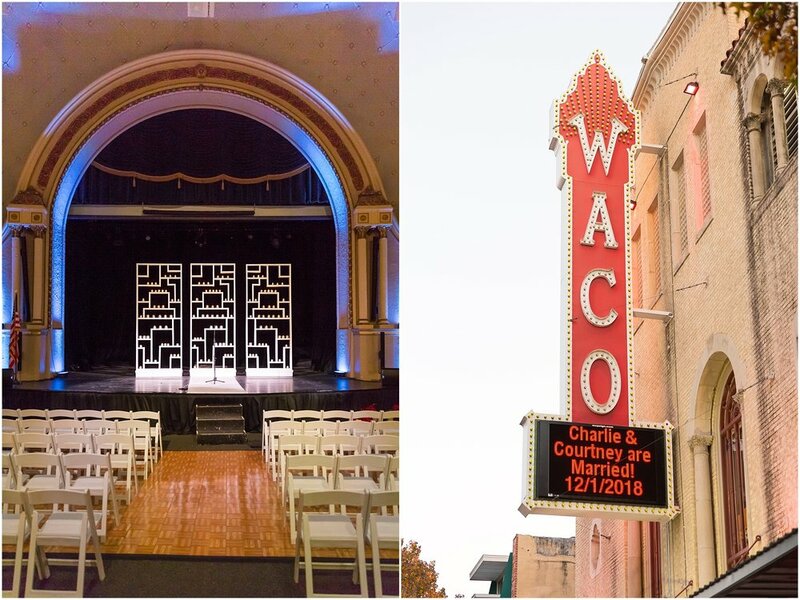 The stage with it’s proscenium arch was a breathtaking spot for their vows. And the modern candle-lit backdrop from Pendley Party only added to the dramatic view. The dramatic and special details don’t stop there! 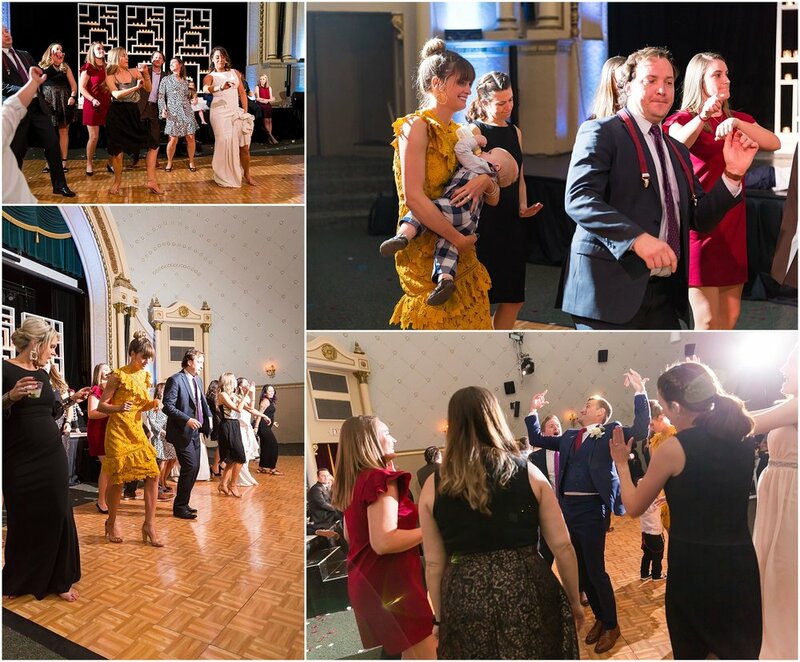 Courtney’s dress was beautifully classic in the front, but the surprise detail bead work on the back led many of her friends to exclaim in delight when she turned around. Charlie looked dashing in his navy suit, and as a special touch, had their wedding date embroidered into his collar. He wasn’t the only one with special details added to his attire. 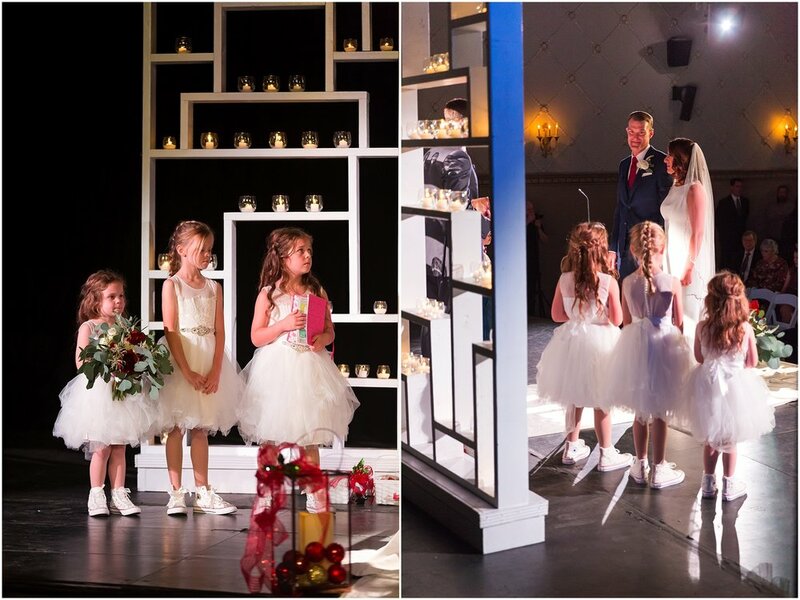 The flower girls all had bedazzled converse shoes made especially for the occasion! 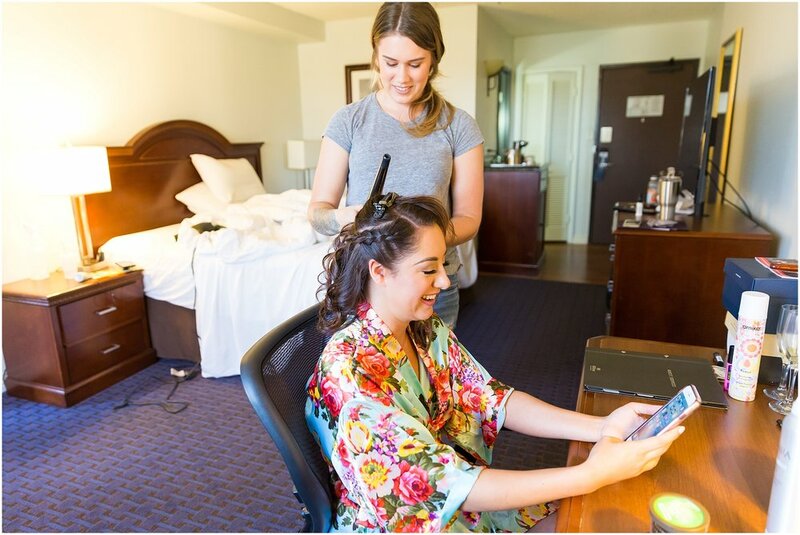 The details are always fun to plan, and we enjoy seeing how each of our Sweetheart couples make their wedding their own through the details. But our favorite part of the wedding day is seeing all the special and meaningful moments that unfold. And Charlie & Courtney had so many sweet moments! Both of them wrote meaningful and heartfelt vows to one another. It was so special to hear them tell each other how they’ve changed one another’s lives for the better, and hear them express their feelings for one another. Their wedding day was also Courtney’s birthday, and while getting her makeup done Courtney said how she always wanted an experience for her birthday rather than a present. So right before it was time to cut the cake, Charlie called Courtney to the middle of the reception and told everyone how he always tried to give her an experience on her birthday. He said he couldn’t think of a better experience than their wedding, and then presented her with a birthday cupcake and had the entire reception sing Happy Birthday to her. But the surprises didn’t end with the birthday cupcake! 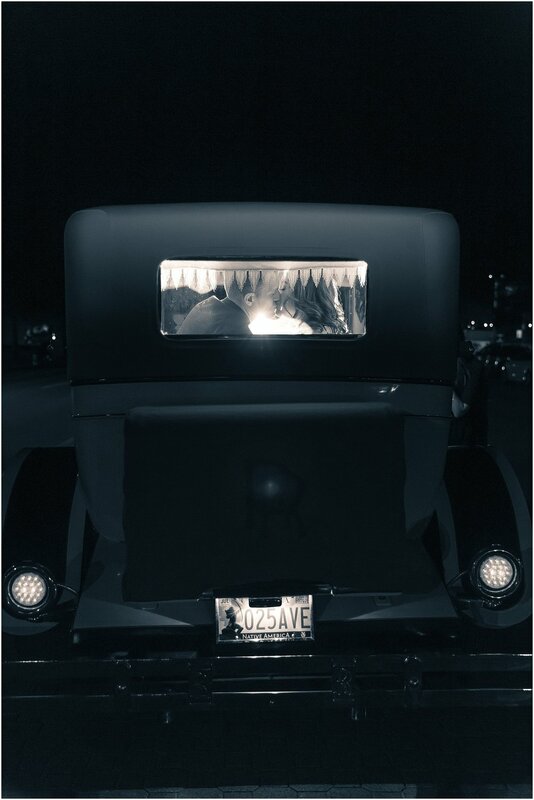 Charlie & Courtney’s sisters surprised the couple with a Rolls Royce as their getaway car when leaving the reception. 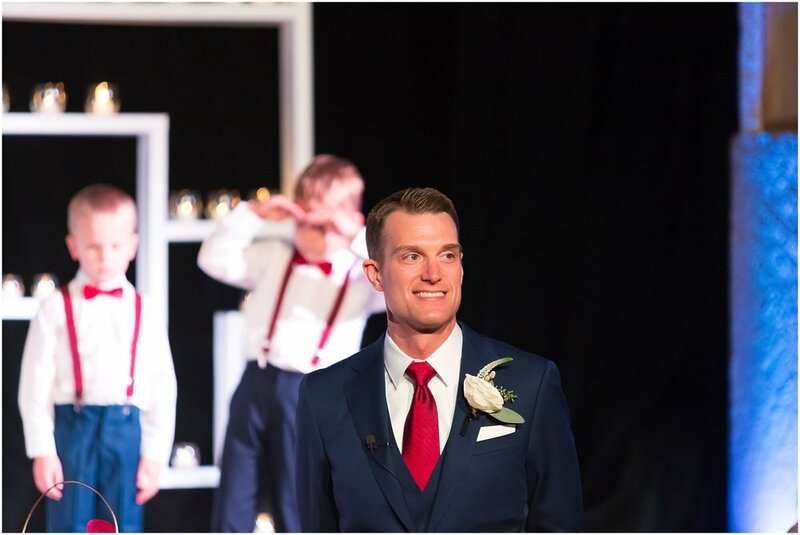 Their sisters had been a huge help in planning such a beautiful wedding for them, and this final surprise was the perfect ending to such a beautiful wedding day! Your wedding was beautiful and so full of love. We loved seeing your faces when you looked at one another, so happy and full of love. We hope you remember those looks, and keep getting them for decades to come!